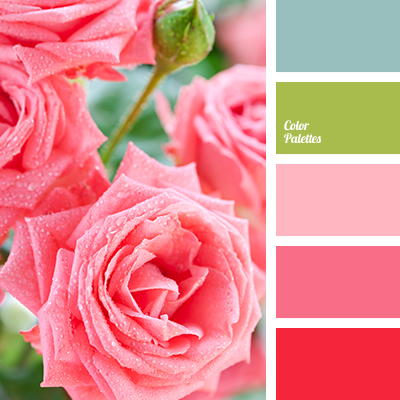 Romance and love – that’s the way you can characterize this palette. 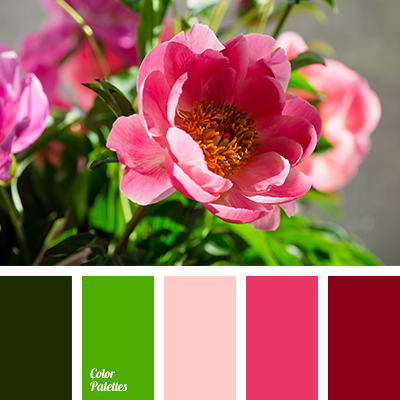 Shades of pink evoke thoughts about love and the most tender feelings. 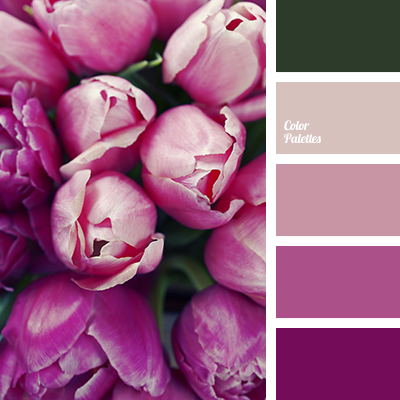 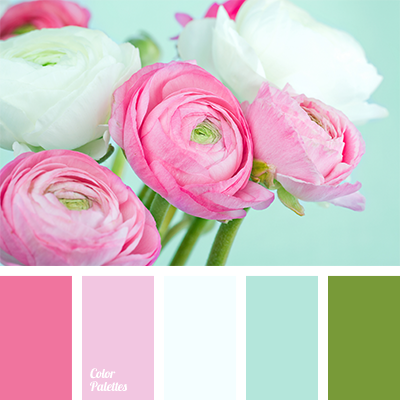 These colors can be used to decorate wedding boutique or wedding celebration. 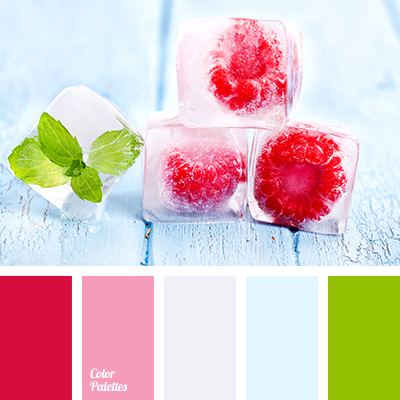 For the design not to look sickly-sweet notes of light green and blue are added.